Oahu is the third largest island in Hawaii. Also known as “The Gathering Place”, its sapphire water, lush green foliage and dramatic landscape will make you want to do just that – gather towards the blissful beauty and enjoy the captivating scenery. 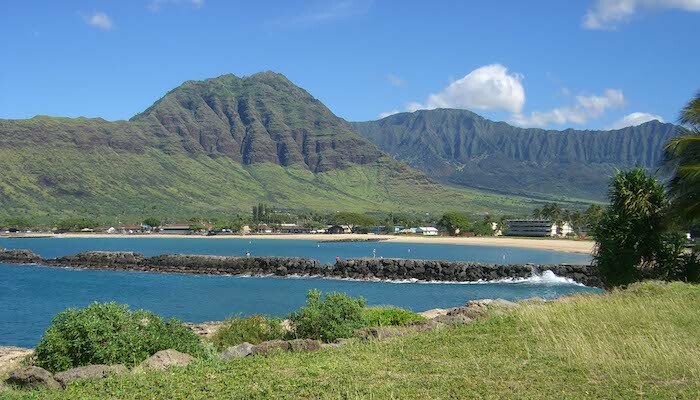 The island has two shield volcanoes, the Wai’anae range and the Ko’olau Range, with a saddle in between the two. The island is 44 miles long and 30 miles across, and the shoreline is 277 miles long. 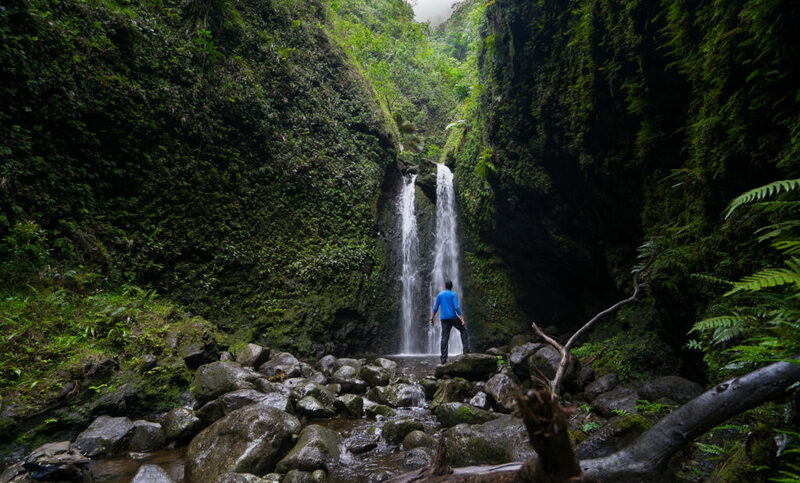 In addition to the picturesque beaches, Oahu also has many stunning hiking trails, and among them are cascading waterfalls that will entrance you. Waterfalls make excellent hiking destinations – wonderful for picture-taking, cliff-jumping, and swimming. 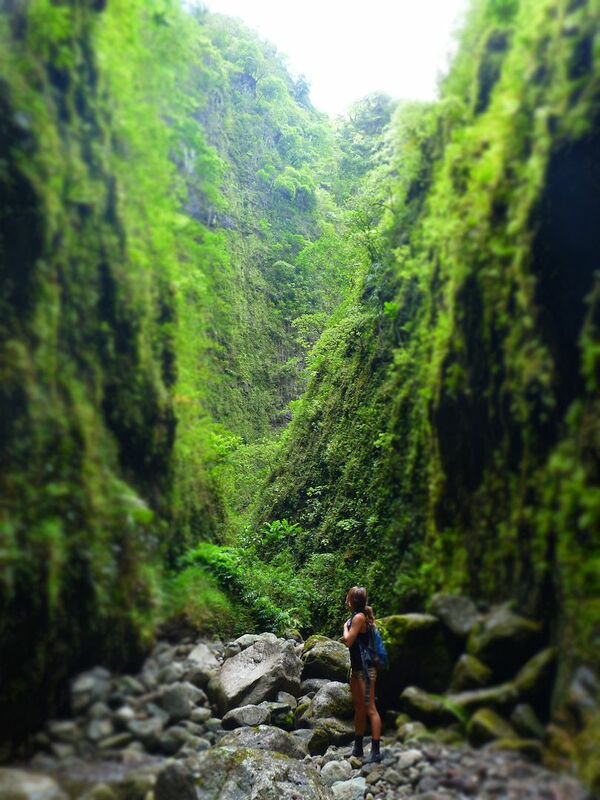 Today we’ll take a look at the 10 best waterfall hiking trails on the exciting island of Oahu. This is an adventurous, all-day hike, perfect for those who like to swim, climb, and explore. One of the more difficult waterfall trails in Oahu, it is also very rewarding. The trail follows a narrow gorge to beautiful waterfalls. 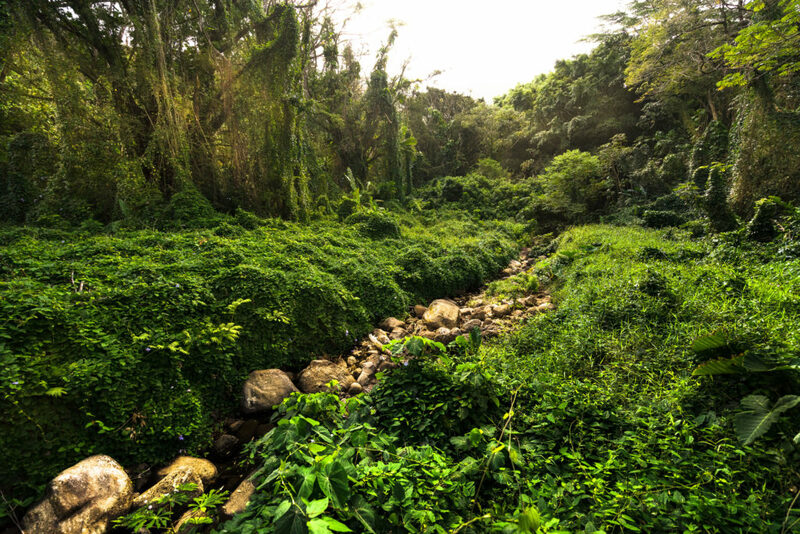 The creek bed is rocky and surrounded by lush green forest. The two sides of the valley are so close to each other, you’ll feel completely enveloped by the valley. The first small waterfall you reach is about two hours in. In front of the waterfall, the water pools and is deep in the middle but shallow around the edges. This is a perfect spot to take a snack break and go for a dip. You can even make this your destination, as the rest of the hike becomes quite difficult after this first waterfall. The second waterfall follows shortly after. To continue on, you must scale the side of the rock and reach the top of the waterfall. There are ropes in place, but use these at your own risk. Each waterfall that you come to requires climbing to continue to the next one, and climbing can be very dangerous, as the rocks are slippery, and the ropes can be old and wet. This trail is truly beautiful and exciting, but exercise extreme caution, and don’t climb anything you don’t feel comfortable climbing. Another thing to keep in mind with this hike is flash flooding. 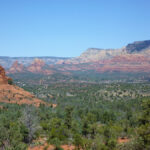 As this hike takes place in a narrow valley, you want to avoid the danger of flash floods by choosing a clear day to hike rather than a rainy day. 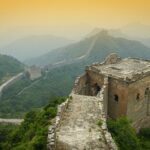 This is an interesting and fun trail to try if you are feeling very adventurous. Address: Follow Hauula Homestead Road to Maakua Road, where there is a yellow gate at the end. Through the yellow gate is a paved road – this is the trailhead. Follow this into the valley. Here is a video by Youtuber Taylor Dame, showing waterfall climbing at Seven Falls, Oahu, Hawaii. 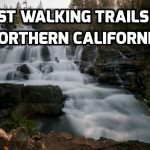 This is a beautiful hike that takes you to a 150-feet tall waterfall cascading down the mountain side. Look familiar? Some scenes from the first Jurassic Park movie were filmed along this hike, as well as some scenes from the TV show Lost. The tropical jungle transports you – you’ll likely expect to see dinosaurs tearing through the foliage as you embark on this hike. The hike is not too long and follows a well-defined path making it easy to find your way. The roundtrip is only around an hour and it is not very strenuous. The trail is surrounded by lush greenery and many types of plants and winds along next to a small creek. Dappled sunlight filters through the dense leaves and the sweet smell of guava and wild ginger perfume the air. When you reach the waterfall, feel free to take a dip in the refreshing shower. The falls are stronger in the winter and become a bit less intense in the summer months, but it’s a beautiful hike at any time of the year. For a more impressive waterfall, go on a rainy day. Here is an awesome video from Youtuber Xplore More featuring the Manoa Falls Hike. Maunawili Falls is nestled deep in the Maunawili Valley. 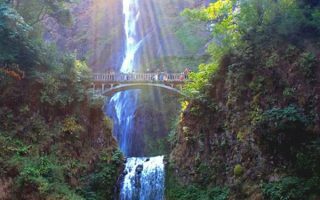 A gorgeous hike through lush greenery takes you to the 20-foot tall waterfall at the end of this 2.5-mile roundtrip hike. The trailhead begins in a quiet neighbourhood and takes you to a juncture where you begin to climb the hillside. The trail climbs upwards, over tree roots, rocks and sometimes mud, so watch your step. After a short while, the trail flattens out and follows a stream, which it crosses at times. 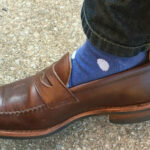 Your feet might get a bit wet at this point, unless you are balanced enough to hop across the stones of the creek. 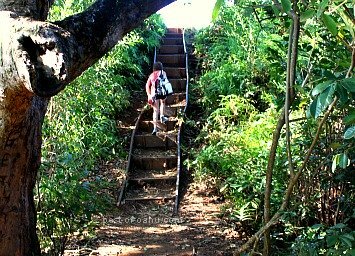 A climb up a man-made staircase takes you above the valley with views of the surrounding jungle. Then take the trail downwards towards the waterfall and you’ll arrive! This waterfall can get a bit busy on the weekends, as it is a popular spot for hiking, swimming and best of all, cliff jumping. Cliff jumping is possible from varying levels of height into the glistening pools below. Surrounding vines and trees makes you feel like you’re in the middle of the rainforest. Vegetation here is lush and interesting – there are many different types of plants and trees around. It’s best to start this trail early, because it will take you a little while to reach the waterfall, and once you do, you will want some time to enjoy it while there is still sun. Address: Take Auloa Road until it intersects with Kewlina street, at which point you should see the Maunawili Falls trailhead sign. Here’s a video from Youtuber Christian Ramirez featuring some fun times cliff jumping into the pool below! Waimea Falls, found on the north shore of Oahu in the Waimea Valley, is an easily accessible waterfall that has much to offer. This is one of the more leisurely waterfall trails in Oahu. The Waimea Valley, a non-profit organization, has transformed this area into a place that celebrates and teaches Hawaiian culture. The main courtyard often has demonstrations, workshops and performances for people to learn about and enjoy the rich culture, heritage and community. 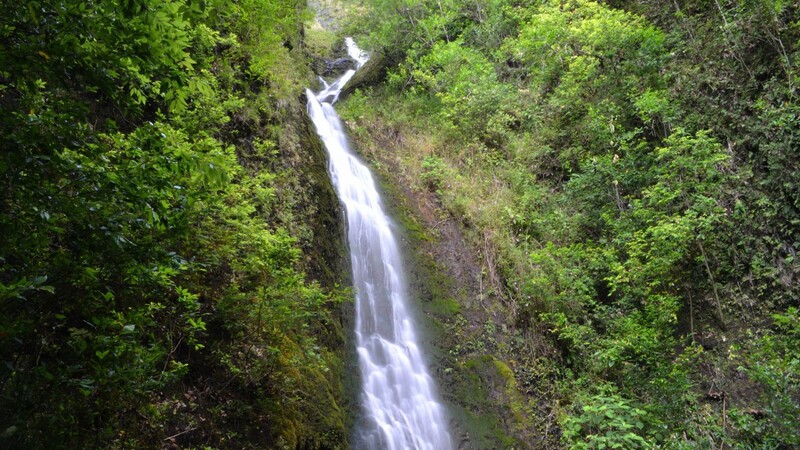 An enjoyable and relaxing one-mile walk takes you to the beautiful 45-foot tall Waimea waterfall. On the path you’ll be charmed with tropical plants, blooming flowers and gardens. Signs posted along the hike provide information and details about the exotic plant life you will see surrounding you. After 30-40 minutes of this meandering trail, you will reach the grand attraction – the 45-foot tall waterfall and sparkling pool beneath. Here, you can jump from cliffs into the water, or go for a relaxing swim. It’s a lovely spot to spend an afternoon. 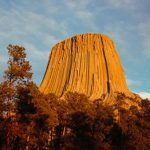 There is a small fee to enter this park which goes towards the worthy cause of supporting this beneficial organization. 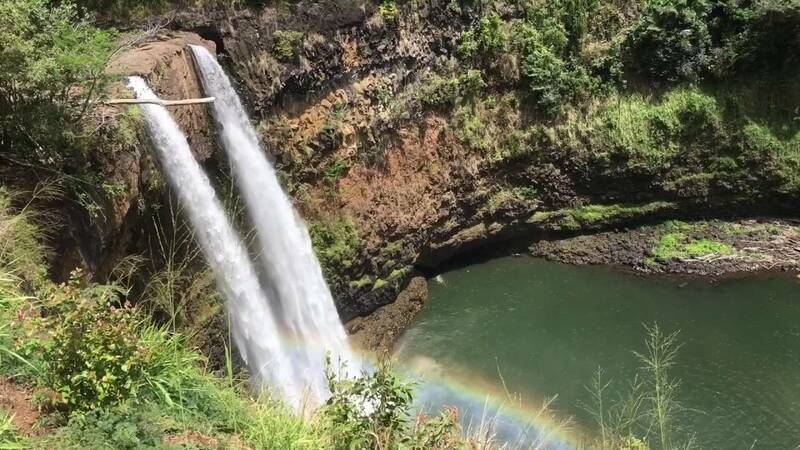 Here’s a video by Youtubers INSIDER showing the Waimea Falls and the emerald pool it flows into. 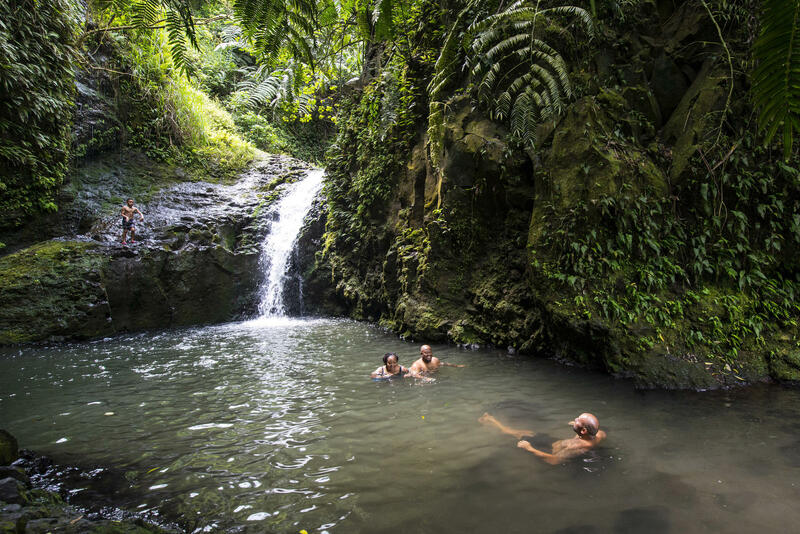 Located in southern Oahu, Waimano is a marvellous, cascading waterfall that flows down into the Waimano Pools which are perfect for swimming and cliff-jumping. 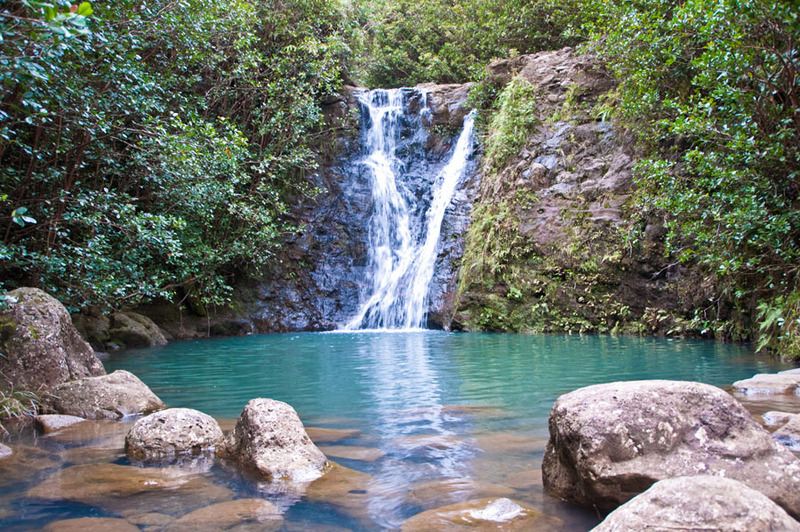 It is one of the less-popular waterfall trails in Oahu, so you often won’t find it too crowded. The trailhead begins at Manana trail. From here it is about 1.5 miles to the Waimano Falls. The hike takes you up and down through green forest, over tree roots and past interesting tropical plants. 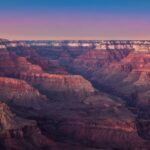 In some parts the trail is quite steep – all the better for building the excitement for when you finally reach the cool, refreshing waterfalls and pools. 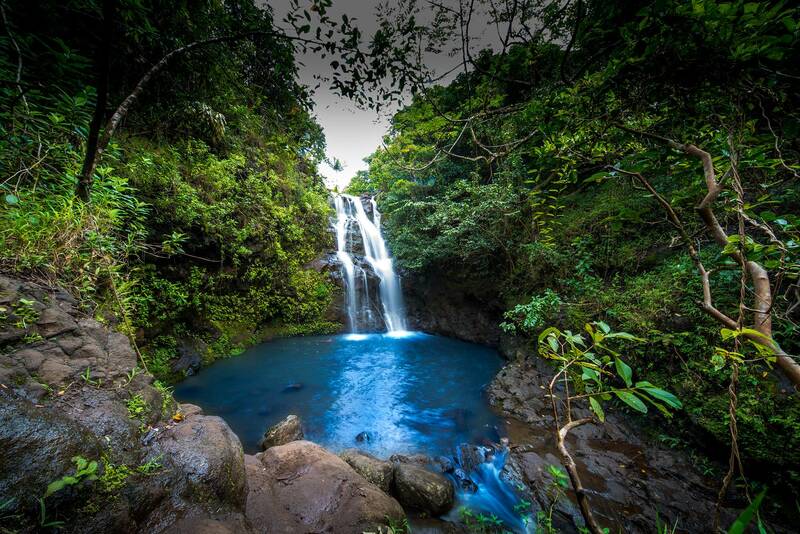 When you reach the waterfalls, you are rewarded by two cool, blue pools created by two falls. The first pool is the deepest and is perfect for swimming. A quick climb up the steep trail gets you to the second pool and the taller, more impressive waterfall. This pool is shallower but you can still wade in it. This is a picturesque hike with a gorgeous reward at the end. Here is a little video by Youtuber Joseph Williams to give you an idea of what cliff jumping at this waterfall is like! 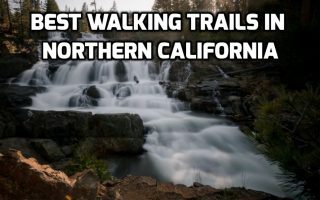 This is a fun out-and-back hike that takes you to a gorgeous, tiered waterfall. It is only two miles along a nice, flat trail, but the reward it still stunning! 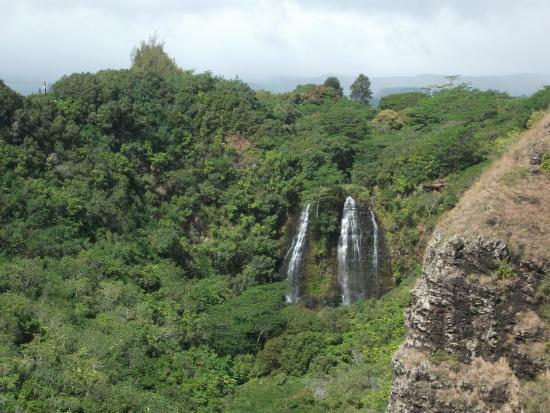 Lulumahu Falls is nestled in the Nu’uanu Valley in the Pali area. The hike takes you along a stream and through bamboo forests to reach the 50-foot tall waterfall. 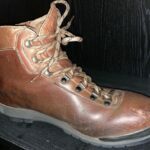 The trail can often get muddy, however, so be prepared for your feet to get muddy! On your way you’ll pass a water tower. Some very experienced divers have been known to jump from this tower, although it is illegal to do so. Here’s a cool video by Youtuber Stefan Adama showing the Lulumahu Falls hike. Up until now the waterfalls in this article have been tall and grand. This waterfall is a change of pace, but is beautiful, nonetheless. It is a smaller waterfall but is enchanting, almost magical in appearance. 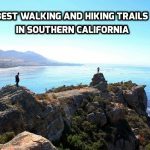 This out-and-back trail is only 0.5 miles roundtrip, so it’s perfect for a day when you aren’t looking for a long or strenuous hike. Even though it is easy to access from the highway, you’ll feel like you’re in another world when you enter the heavily wooded trail. When you begin the trail, you are quickly enveloped by the forest. Very soon into the walk, the waterfall comes into view. It is a quick walk perfect for an afternoon. The 15-foot waterfall is absolutely mesmerizing. The pool below is perfect for swimming and jumping into. You will also see some ancient Hawaiian petroglyphs protected inside a small cage. These ancient drawings depict images of men and dogs, relating to the legend of Kaupe, a mythical half-man half-dog creature who is said to reside in the area. 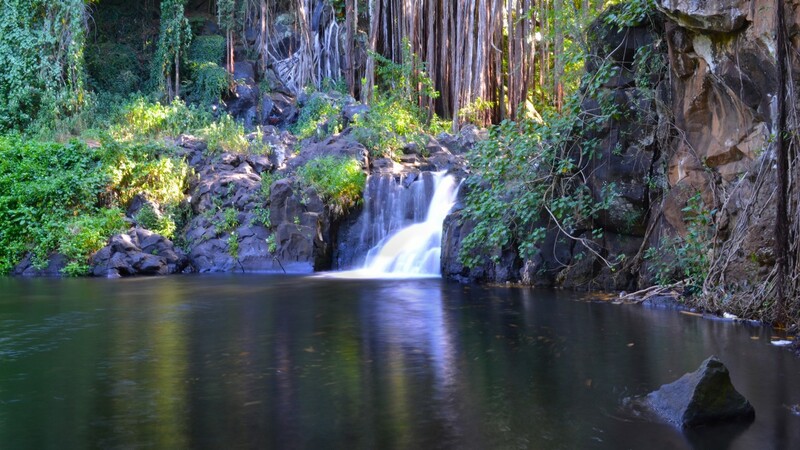 Located just a few more minutes south of Kapena Falls is Alapena Pool, a modest yet gorgeous waterfall that is also worth checking out. This area is considered sacred by the people of Hawaii, so please be respectful of it. This next video by Max M. shows off some cliff jumping at Kapena Falls. 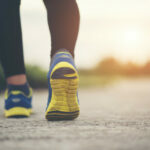 This is a trail less-travelled because it is a 6-mile hike to get to the Laie Falls, but if you don’t mind a little more walking, this is a wonderful trail to consider. The hike to the waterfall is mostly uphill but features lovely plant life such as pine trees and strawberry guava trees. The path weaves in and out of overhead coverings from trees so you get a nice mix of sun and shade. The trail also offers beautiful views of the ocean and of Laie. After a stretch of uphill walking, you will begin to descend on a steep and slippery path towards Kahawainui stream. There are ropes in place here to help you on the way down. This steep downhill path is about halfway to the Laie Falls. A few more miles along a wooded path takes you to the beautiful destination. Although Laie Falls is only 15-feet high, it is peaceful and enchanting. The water cascades down into a blue pool beneath. This is a great path for those in search of a tranquil waterfall on a less-travelled path. Take a look at beautiful Laie Falls courtesy of Youtubers NOT So Good Hikers. This waterfall just off of Pali highway is worth checking out, especially on a windy day, for one very unique reason. The Waipuhia Falls is also known as the Upside-Down Falls. This is because the force of the wind blowing against the water actually gives the illusion that the water is defying gravity and flowing up the waterfall, instead of falling downwards. This illusion is most striking when viewed from a distance. The word “Waipuhia” means “abrasive” in Hawaiian, which is a fitting name for this waterfall, especially on a windy or stormy day. The hike to the falls is an easy walk up a paved road. Along the way, you will see some really interesting vegetation, because the state park is working to preserve endangered plants and flowers. Once you reach the waterfall you will be blown away by its beauty. You can also swim in the falls if the conditions are good! This next video by NOT So Good Hikers shows Waipuhia in all it’s upside-down glory! 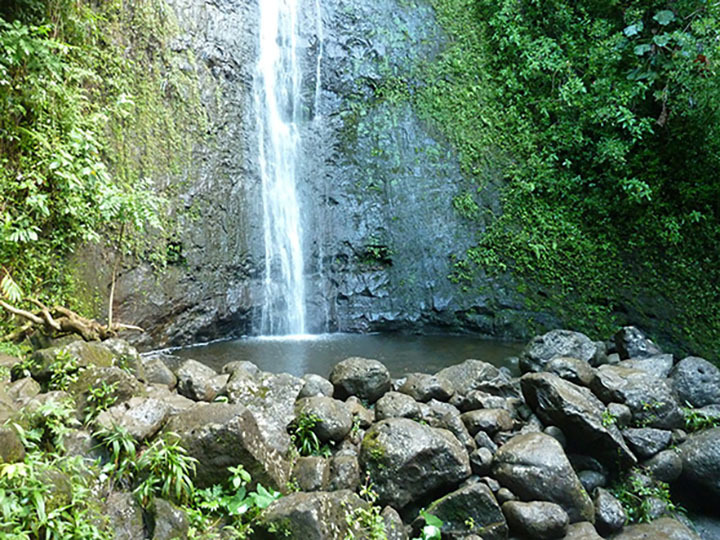 Likeke Falls is a hidden gem in Honolulu near the Pali Lookout. Despite its modest size of 15 feet, it is an appealing and charming waterfall. In March 2017 it was featured in the Honolulu Magazine as the Oahu Hike of the Month. The trail is about 4 miles round trip. The path is a bit muddy and slippery, but as it is a less popular trail, it makes for a peaceful adventure. At the end of the path you are greeted with a beautiful little waterfall that is tranquil and scenic. It’s a nice place to go for a dip and cool off from the hike. Here’s a great video of Likeke Falls as well as the surrounding trail by NOT So Good Hikers. Whether you’re looking for a grand adventure of cliff jumping or a peaceful hike to an enchanting waterfall, Oahu is brimming with amazing waterfall trails that suit every preference. Its idyllic scenery is mesmerizing and exhilarating. These are our top 10 favourite waterfalls in Oahu but there are of course many others. 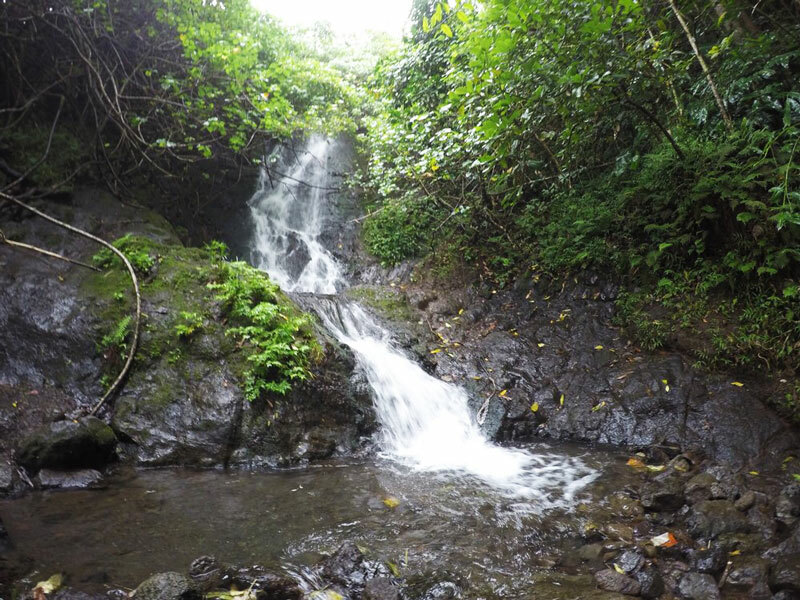 If you are looking to find out more about waterfall trails in Oahu, check out this website.